Love cars? 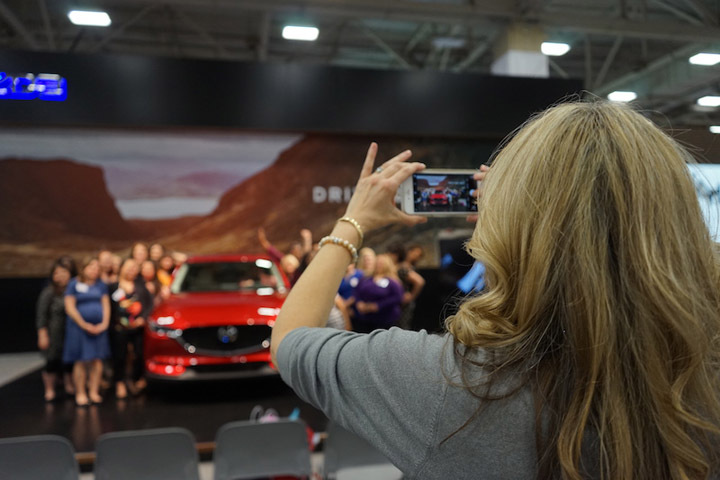 Grab a friend and head to the 2019 DFW Auto Show for a chance to see the latest in car trends and technology! This year you could win big with FREE tickets and a $100 gift card! One of my favorite events of the year has become the DFW Auto Show! 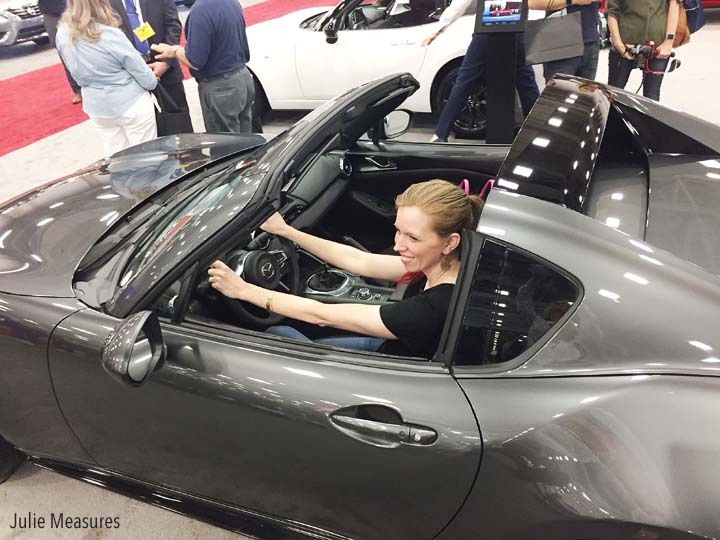 The 2019 DFW Auto Show is rolling its way into the Kay Bailey Hutchison Convention Center. I will be there opening day with A Girl’s Guide to Cars. 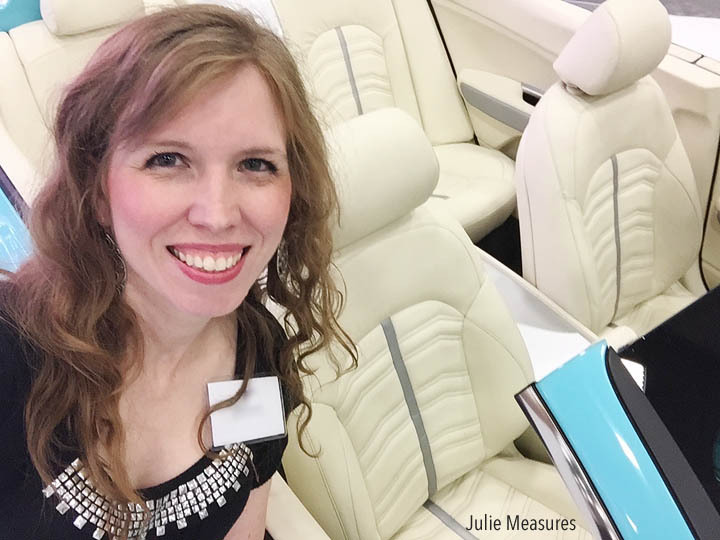 Visiting the car show with a group of passionate women is such an incredible experience! Definitely a fun idea for a Girl’s Night Out this weekend. The Auto Show is a great no-pressure environment where you can compare dozens of different auto manufactures. Many displays included color option displays where you can see all the different options available. Some also had fabric and leather swatches for other interior options. 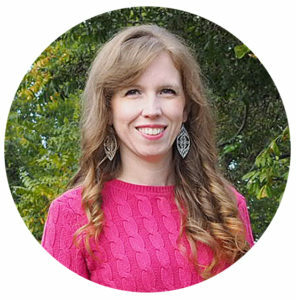 This year I’m so excited to be partnering with A Girl’s Guide to Cars and Toyota. Toyota even has a strong Dallas/Fort Worth presence with their headquarters in Plano, Texas! I can’t wait to see the 2020 Toyota Sequoia TRD Pro and the all-new 2020 RAV4 TRD Off-Road model! Both look perfect for outdoor adventures (which I have a few planned this year). The 2020 Toyota Sequoia TRD Pro offers room for the whole family and an affinity for thrills. The all-new, fifth-generation Toyota RAV4, arriving in the fall, will be outfitted with a full array of special Toyota Racing Development engineering and design features for greater trail-driving capability and standout style. Make sure to bring your drivers license with you to the show! My absolute favorite part of the Auto Show is the Ride and Drive. And when I got to take a little manual transmission sports car on a ride? Heaven. My very first car was a manual transmission and so were our next few cars. There’s just something really fun about shifting gears in a sporty little car. 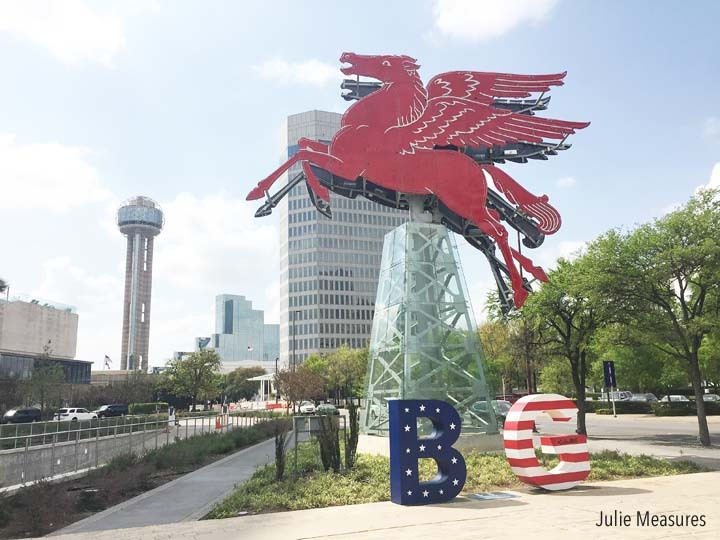 Make it a day and check out the area around the convention center. 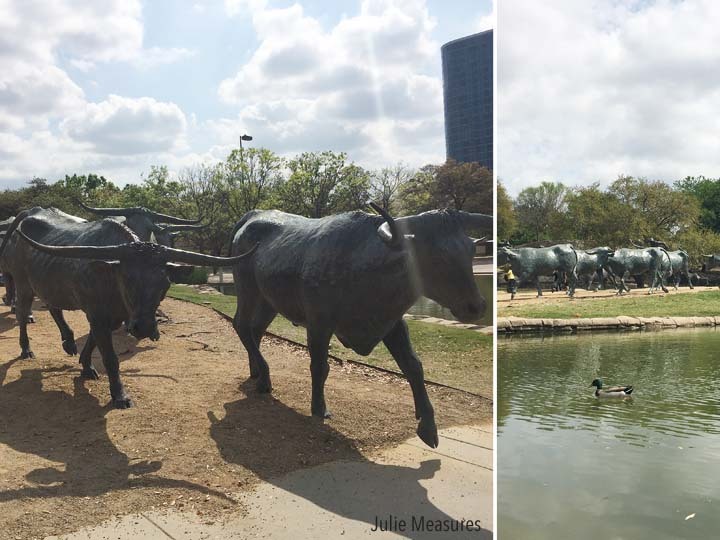 The famous Dallas Pegasus and cattle trail sculpture are both within walking distance of the convention center and make great photo opportunities. Wednesday: 4 p.m. to 9 p.m.